New York Man, missing for three months, tells horror story of abduction, and forced labor at the hands of crazed Lubavichers. Ashley Shuttleworth, an unemployed typesetter, and father of two, spoke to reporters this morning at One Police Plaza, revealing his alleged kidnapping at the hands of a crazed band of Hasidic Jews, who are an extremist fringe group, formerly associated with the Lubavitcher movement, centered in Crown Heights Brooklyn. “I can’t sleep, I can’t eat, I just keep seeing those beards, those bushy beards”, revealed Mr. Shuttleworth, whose bizarre story began with his alleged abduction, on June 3rd, just outside Katz’s Delicatessen, on Houston Street, the hub of Manhattan’s Lower East Side. “There were these two guys, bearded guys in black overcoats, standing by a big van, more like a truck, I guess, with strange writing all over it – Jewish writing”, said Shuttleworth. “The only thing in English were two words, MITZVAH TANK”. 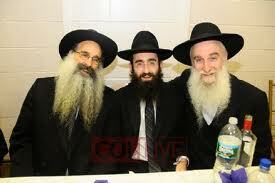 One of the bearded men approached Shuttleworth and asked, “Jewish?”. When Shuttleworth said he wasn’t, the bearded man shook his hand and told him that he represented an organization that offered exciting, high paying career opportunities for non-Jews, and asked him to step into the vehicle fore more information. “It was dark in the van, then there was this smell, an acrid smell, and that’s the last thing I remember”. Shuttleworth claims to have regained consciousness in the hold of a ship, somewhere at sea, handcuffed to another of the Mitzvah Mobile’s victims. “There must have been fifty of us, there in the hold of that ship, and every guy had the same story: the bearded guys, the big van with the funny writing, the job offer for non-Jews”. According to Shuttleworth, the ship anchored in the Port of Haifa, on Israel’s coast. The abductees were forced to remain on board, and put through a rigorous indoctrination, which included frequently being drugged. “They said escape was impossible, so don’t bother trying. The main guy, the one with the biggest beard told us we would be treated well as a reward for our cooperation, and we would be expected to work, but only one day a week. Then, one day he say’s to me, ‘Do the words Shabbos Goy mean anything to you?’” Shuttleworth was told that, when his indoctrination was completed, he would be assigned to a family, and expected to answer phones, turn on and off the lights, work the computers, anything mechanical, but only on Saturdays.” Other than the isolation, the food was the worst part of his incarceration, according to Shuttleworth. “Pork, nothing but pork. I mean, I like a pork chop as much as the next guy, but Jesus”. The alleged abductees were fed nothing but pork, and porcine byproducts, and told that there were thousands more, just like them, presently going through the same indoctrination, and in many countries. Shuttleworth claims that this extremist Hasidic fringe group was involved in a world-wide plot to create a race of enslaved Shabbos Goys. He escaped, when one of the Hasidic guards evidently forgot that he was in the bathroom. He made his way to the main deck, and jumped ship, right there in Haifa Harbor. “The Marine guards at the American Embassy wouldn’t let me in, at first. I mean, I was soaking wet from swimming to shore”. Shuttleworth was flown back to New York City, and the waiting arms of his distraught family. Police Captain Jack Hogan, who is heading the investigation, told reporters, “Kidnapping is a serious crime. Looks like we’ve got some kind of white slave ring at work here, and we’re going to put the kibosh on it, I’ll tell you that”. 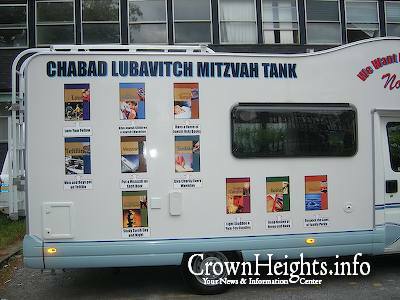 Police have begun the process of impounding the Mitzvah Tank vehicles in all five boroughs. At Lubavitcher Headquarters, on Eastern Parkway in Brooklyn, Rabbi Shnuer Zuckerman was quoted as saying, “Meshugenah! That’s what they are, these Mitzvah Mobile gonifs. Meshugenah. You want a Shabbos Goy – you pay a Shabbos Goy”. Mr Shuttleworth has evidently been approached by Argosy Magazine, to tell his tragic story of abduction, and Goyishe enslavement. Mayor Bloomberg’s office refused comment. This entry was posted on October 11, 2010 by shauncostello. It was filed under Fiction and non-fiction from Shaun Costello, Uncategorized and was tagged with Haifa, Hasidic Jews, Hasidism, Houston Street, Katz's Deli, Kidnapping, Mitzvah Mobile, Shabbos Goy, Shaun Costello, Shaun Costello's Blog.